B. Bernard and D. Birdsall, Lucian Freud, London, 1996, pp. 330-331, no. 281 (illustrated in color). Lucian Freud Naked Portraits, exh. cat., Museum für Moderne Kunst Frankfurt am Main, 2001, p. 121, fig. 105 (illustrated). W. Feaver, Lucian Freud, New York, 2007, pp. 346-347, no. 227 (illustrated in color). Saint-Paul, Fondation Maeght, Bacon-Freud, July-October 1995, p. 193, no. 73 (illustrated in color). New York, Acquavella Galleries, Inc., Lucian Freud, October-November 1996. Washington, D.C., Smithsonian Institution, Hirshhorn Museum and Sculpture Garden and Munich, Haus der Kunst, Regarding Beauty: A View of the Late Twentieth Century, October 1999-April 2000, p. 56, no. 24 (illustrated in color). Venice, Museo Correr, Lucian Freud, July-October 2005, p. 147, no. 62 (illustrated in color). 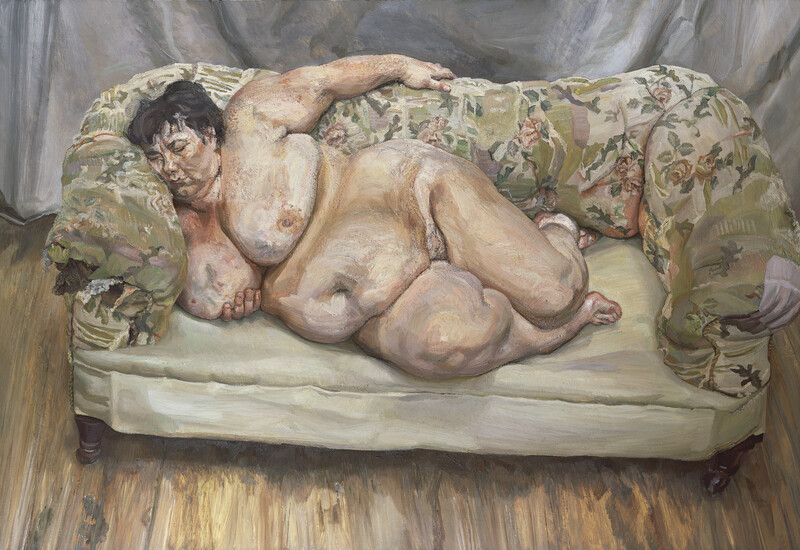 Please note this work has been requested for the forthcoming exhibition Lucian Freud Portraits that will take place at the National Portrait Gallery in London from February-May 2012.